Rejuvenating and revitalizing skincare for dehydrated, large-pored and mature skin. 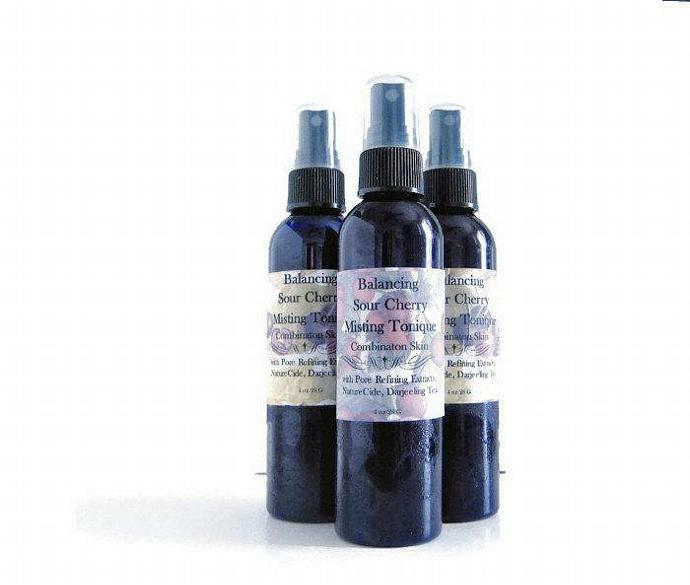 Returns firmness to the skin and battles free radicals with vitamin-rich sour cherries and lemon. 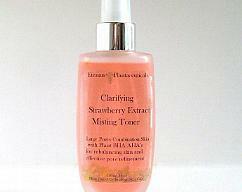 Hyaluronic Acid and Watermelon extract add moisture, and protect against free-radical damage. Glycolic acid stimulates and cleanses to rejuvenate and refine normal or combination, while Panthenol, and Vitamin B3 cool redness. A misting tonique line made of 100% natural ingredients. Much more than a simple toner though, advanced expeller extracts of plant, flower, or fruit extracts and vitamins nourish skin all day. 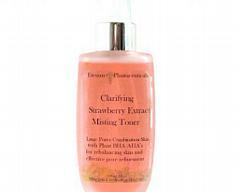 Best AFTER cleansing. 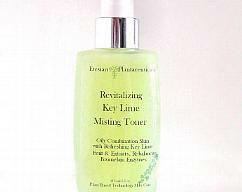 Any skin care is incomplete without either a toner as part of your regime. Toning is often overlooked in daily skincare. This step closes the pores, and restores the skin’s balance. 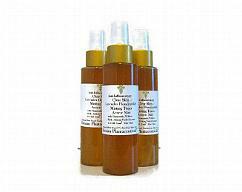 +AHA fruit blend extracts containing several naturally occurring alpha hydroxy acids. Alpha hydroxyl acids have been shown to promote younger, smoother looking skin by increasing the rate of skin cell renewal. +Hydrosols made in Life Ionic* Acidic water improve complexion working as a natural astringent, and antiseptic to remove dirt and oil without the use of chemicals. + Aloe has skin soothing and softening benefits. 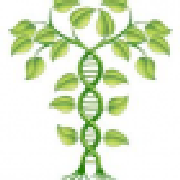 +Green Tea Extract: clarifies, antioxidant, astringent hailed in the natural skin care industry to help repair the effects of aging and environmental factors. .